I guess Christi's think alike? LOL!! 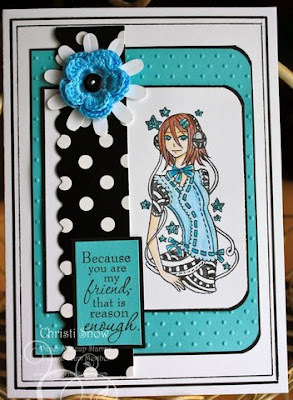 I love how Christi used that yummy black and white polka dot dp and Moody for Music is one of my favorite Paper Makeup stamps. :) Awesome job Christi!! 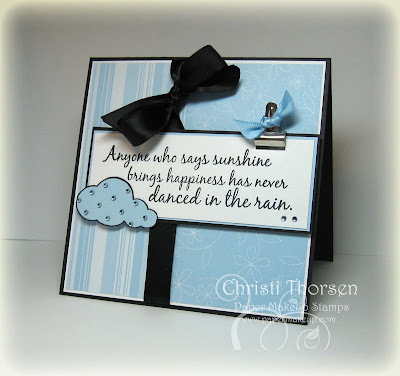 Make a card using the above picture as an inspiration (remember it can be anything about the card that inspires you) and link it up to Mr. Linky at the bottom of this post (direct links please). You do not have to use Paper Makeup Stamps but if you've got 'em we'd love to see your work!! When you upload to SCS/PCP please use keyword M4TW14 so we can see your creations there as well. That's it for me!! Have a wonderful weekend everyone and get inky!!! Incredible samples, love the inspiration photo. I have recently been into these colors and hope this card qualifies for the challenge. Thanks! What a great inspiration and challenge. I entered using Mr. Linky...thanks for the opportunity to participate.